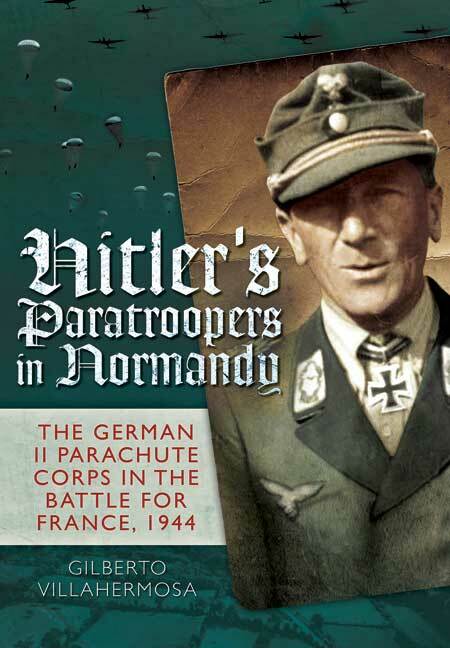 You'll be £15.99 closer to your next £10.00 credit when you purchase Hitler's Paratroopers in Normandy. What's this? In June 1944, Allied forces fighting desperately to establish a foothold in Normandy and then breakout of the confining bocage found themselves opposed by a bewildering array of formations of the German Wehrmacht. Among them were the newly formed German II Parachute Corps. This gripping new account examines the exploits of Germany's II Parachute Corps and its commander, Eugen Meindl from the Allied invasion on 6 June to the end of August 1944. Meindl was the epitome of the senior German airborne commander in World War II. Tough, experienced, and aggressive, he cared deeply for his troops. His Parachute Corps fought stubbornly for three weeks, before being forced to fall back. Trapped along with the bulk of the German Seventh Army in the Falaise pocket, Meindl and his paratroopers maintained their discipline and were selected by the Commander in Chief of OB West to lead the German breakout to the east. That they managed to do so, despite suffering grievous losses, while so many around them died or surrendered, is a testament to their dedication and fighting ability. Theirs is a story that deserves to be told.